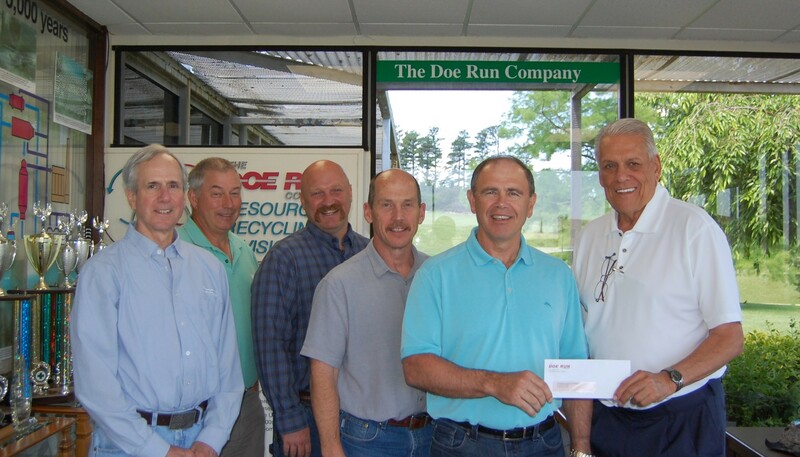 The Doe Run Company (Doe Run) recently donated $5,000 to the Southwest Baptist University (SBU) Salem Campus. Doe Run has supported SBU’s Salem Campus every year over the last decade, and this year’s donation will support the newly established licensed practical nursing program. Pictured (left to right) Terry Fox, vice president of finance and chief financial officer; Mark Yingling, vice president – environmental, health and safety; Anthony Staley, general manager – metals division; Steve Batts, vice president – Southeast Missouri operations; and Jerry Pyatt, president and chief executive officer, all of Doe Run, as well as Jack Hays, SBU associate of development.